Each week after Mass people leave various things behind. We find umbrellas, books, cheerios, sunglasses, gloves, hats, toy cars, and even the occassional note left by a non-denominational fundamentalist who lacks the charity even to sign their name (such notes are rare and are promptly disregarded). I've not heard of them before and the CD is scratched beyond repair, which probably accounts for its being left behind (though I'm not sure why it would have been brought into the church in the first place). With the aid of Google, I'm not sure the group is one I would enjoy. Perhaps after Mass we should have an announcement asking people to check for their belongings like we hear before exiting an airplane. This afternoon, St. Anthony High School senior Myles Baker took third in State in the Class 1A Triple Jump. Congratulations, Myles! This evening we gather, as it were, in the Upper Room with Mary and the Apostles awaiting the promised gift of the Holy Spirit. Just before he ascended into heaven to take his seat at the right hand of the Father, the Lord Jesus told his Apostles: “But you will receive power when the Holy Spirit comes upon you, and you will be my witnesses in Jerusalem, throughout Judea and Samaria, and to the ends of the earth” (Acts 1:8). Humanity has always yearned for power, yet the power that the Holy Spirit bestows is quite different from the power typically sought. The first reading from the Book of Genesis is a perfect illustration of this. By seeking to “build a tower with its top in the sky,” humanity sought to bridge the gap between the human and the divine “and so make a name for ourselves” (Genesis 11:4). Humanity sought to raise itself to the heights of divinity, falling yet again for the cruel and cunning lie of the serpent: “you will be like God” (Genesis 2:5). We must take note of what humanity feared. Mankind endeavored to build that great tower at Babel for this reason: “otherwise we shall be scattered all over the earth” (Genesis 11:4). Up to now, “the whole world spoke the same language, using the same words” (Genesis 11:1). A common language is a sign of profound unity and humanity feared being separated and divided, of no longer being able to communicate clearly. But presuming too much, what humanity feared came to pass because men trusted too much in their own power and saw God not as the author of life and freedom, but as a rival to be withstood. Consequently, “the Lord scattered them all over the earth” and “confused the speech of all the world” (Genesis 11:7-8). At first consideration, we might view this as a drastic action taken by the Lord, an unnecessary and even cruel decision to scatter humanity. But is this really the case? Recall what happened when the first man and woman - Adam and Eve – presumed too much and sought to be like God: sin and death entered the world and they were divided from one another and from God. They turned inward and tried to use each other – and God – for their own personal gain. In confusing the speech of humanity the Lord saved mankind from a much more fatal consequence; his action is – in this light – an act of mercy. The division of humanity he will heal with the outpouring of the Holy Spirit. But let us return to that presumption of man that trusted in its own power. Is it any different in our own day? Are we not trying to build one common society on our own, without God? Are we not trying to unite our commerce, language and thought into one global society, with no real consideration given to God? Unless we allow the Holy Spirit to transform us, this great undertaking of man will collapse. Do not countless people still see God as a rival? Is this not what the world continually tells us, that God and religion takes away our freedom and place limits on our power, taking away our happiness? If we accept for these lies we, too, will fall for the lie of the serpent. Can any one of us make ourselves happy? Can any one of us – of our own power - ascend to the glory of heaven? Happiness and glory – the true and liberating power of love – come from the Holy Spirit; these are the gifts he gives, the gift that is God himself. The Psalmist sings, “Creatures all look to you to give them food in due time” (Psalm 104:27). Even today – and every day – we pray the Lord “give us this day our daily bread.” Looking to God for food symbolizes our turning to God for all that makes life good and enjoyable. It is not simply food but happiness we seek from him and when he opens his hand to us we are filled with good things (cf. Psalm 104:28). Christ Jesus, the conqueror of sin and death, opens his hand to give us the spoils of his battle, to give us his great gift, the gift of the Holy Spirit. But humanity was not looking for this gift and so many have turned away from him, seeking other things and looking to others to find them. What of you and I? We too would expect quite different gifts from a Redeemer… For we would expect a house, money, good food, travel, success, other people’s esteem, comfort, peace, security. But not the Holy Spirit. For in reality the Holy Spirit is largely the opposite of all these things: he makes us restless with our possessions, our comfort, our respect that is so often based on dubious compromises. He is a tempest. He does not let us settle down in our comfort but exposes us to ridicule by putting us in the service of truth and obliging us to exercise the self-control that loves the other person “as myself…” And yet, this tempest that frees man from himself and makes him true and kind, is it not the most radical of all revolutions, the only real hope for the world? It is because of this revolution that turns man’s gaze from himself toward God and others that the Psalmist sings, “When you send forth your spirit, they are created, and you renew the face of the earth” in us (Psalm 104:30). It is this gift of conversion – of this revolution – that the Lord has promised to send us in his Spirit. Indeed, “all creation is groaning in labor pains even until now; and not only that, but we ourselves who have the firstfruits of the Spirit, we also groan” for this revolution to be fully realized (Romans 8:22-23). Saint Paul recognizes the interior yearnings and longings of hearts – what he calls “groanings” – as the desire for the Holy Spirit, for God himself. Do you and I recognize this groaning for what it truly is? So often, we want to “do something” to receive the promised gift of the Holy Spirit. Yet this power, the grace of the Spirit, is not something we can merit or achieve, but only receive as pure gift. God’s love can only unleash its power when it is allowed to change us from within. We have to let it break through the hard crust of our indifference, our spiritual weariness, our blind conformity to the spirit of this age. Only then can we let it ignite our imagination and shape our deepest desires. We must follow the example of Mary and the Apostles, who waiting in the Upper Room for the coming of the Spirit. How did they occupy themselves during their eight days of waiting? They spent their time in humble and silent prayer. We must do the same. If we quiet ourselves and are still, we will then be able to open the doors of our hearts to the Holy Spirit, who will then unleash his transforming power within us. We must cooperate with this power and seek to be conformed ever more closely to Jesus Christ. This is within his power; this is his true gift, the gift of union with God. Let each of us thirst for this living water, that we might drink of these waters and be kindled with the fire of his love (cf. John 7:38). Amen. Joseph Cardinal Ratzinger, Seek That Which is Above: Meditations Through the Year. Graham Harrison, trans. (San Francisco, California: Ignatius Press, 2007), 103-104. Pope Benedict XVI, Homily, 20 July 2008. 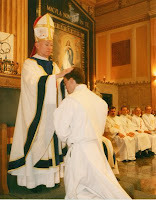 The day of my priestly ordination was a most beautiful and joyous day; I was so happy the day finally had come. There are, of course, a number of things that stand out in my mind, but one of the most touching aspects of the Rite of Ordination came at the moment when Bishop Lucas exchanged the sign of peace with me and my six newly ordained brothers. This ancient gesture welcoming the newly ordained into the Order of Priests is exchanged after the promises of the Elect are made; after the Bishop imposes hands; after the prayer of ordination; after the investiture with the chasuble; after the anointing of hands, and after the handing over of the bread and wine. It comes as the conclusion of the rite of ordination. Whereas the priests who exchange the sign of peace with the newly ordained do so as brothers, the Bishop does so as a father. If the Bishop is to regard his priests as his sons, then his priests are to regard him as their father. Pope Benedict XVI has frequently spoken about this dynamic. It was this aspect of the sign of the peace that so touched me. Since my ordination Bishop Lucas and I have not always agreed on everything, but I have always tried to view him with respect as my spiritual father. And now he is entrusting me with the care of two of his parishes. In a spirit of filial obedience I will go, trusting that, like many fathers with their sons, he sees abilities and skills in me that I do not see. 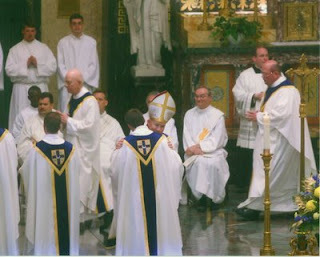 Today I celebrate the fourth anniversary of my ordination to the Priesthood of Jesus Christ at the hands of His Excellency the Most Reverend George J. Lucas, the eighth Bishop of the Diocese of Springfield in Illinois. I will celebrate the day in rather an odd fashion by going with four members of the boys' track team to the State meet at Eastern Illinois University in Charleston. It will be my first time at a State competition of any kind. Providing it doesn't rain, it should be an enjoyable day. Later today I intend to post some reflections on the past four years, or at least on the day of my ordination itself. At Mass this morning I used the prayers, "For the Priest Himself, On the Anniversary of Ordination." and the ministry of your Church. of your gospel and your sacraments. Holy Mother Church celebrates today the life of Saint Augustine of Canterbury, sent by Pope Saint Gregory the Great in 595 to bring the Gospel to the people of Britain. The Apostle to England once said, "No eulogy is due to him who simply does his duty and nothing more," calling to mind one of my favorite passages of the Scriptures. To help celebrate this day, I thought I'd pass along a link to a neat web site sent to me recently: Interactive London Audio Guide. If you plan one day to visit the city of London, this site is well worth a look, and a download. Capello tip to Patrick Archbold, who has posted several other videos of Fr. Barron. The Crescat is pleased to announce the winners of the 2009 Carolina Cannonball Awards. Very often I wonder if I think too much. Or if I have studied too much. Consequently, there are many songs that I do not like simply because their lyrics are false. One such song is the beloved, "America, the Beautiful," which I strongly dislike being sung at the Holy Mass, but for the reason to which many will quickly jump. This line has always disturbed me greatly considering the way Catholics were treated here for th first several centuries. One must not forget that Maryland was founded by Lord Baltimore as a home for Catholics in which to settle, being persecuted elsewhere. Simply consider this historical fact, pointed out by William at This Day in Catholic History: On this day in 1647, Catholic priests were banned by law from the colony of Massachussets. Should a Catholic priest be found a second time in the colony, he was to be punished by death. Is this the "thoroughfare of freedom" beat by the pilgrim's feet? These United States have come a long way since their founding, but there is much work yet to be done. And it can only be done with a more accurate understanding of the history of this country. Going about tidying my suite this evening, I realized that I have yet to post pictures of the paintings I acquired this past February in Hawaii that I recently had framed. I bought it from an artist at Waikiki Beach, the only such artist that I found. Apparently with the economic downtown art - being a nonessential - is not selling and therefore forcing many artists to seek other gainful work. This one I bought from an artist who had to close his school and studio and was selling his students' work at the Aloha Stadium weekly sale. These two pieces will go very well in my new home this September. The meeting with some of the lay leaders of the parishes that I will soon pastor went very well, I think. Guided by the Chancellor of the Diocese, those in attendance where placed into several small groups after hearing the current and projected situation of the Diocese in terms of priests and parishes. There are currently 131 parishes served by 80 Diocesan priests and 11 Order priests, some of them are serving beyond "retirement age," as Fr. Sperl has done. What is important to know about the history of your parish and what makes your parish unique? Are there any special customs, traditions, or significant annual events in your parish? How can the parishioners help Fr. Zehnle in his ministry as pastor to Sacred Heart and St. Patrick parishes? Do you feel that both parishes can work together to form a pastoral unit? What ministries/services could be shared between the two parishes? Their thoughts will certainly be of help to me in the years to come and I thank them for their insights. Since I had the early morning Mass the next day, I wasn't able to stay after the meeting to visit with them, though I would have likd to do so. A line from all of their responses struck me more than any other: "We want to make Father comfortable in his home." Naturally, this pleases me because the rectory will need a bit of work. I think I will receive a very warm welcome we I arrive as their Pastor. The Pastor's father returned yesterday to stay with us for a few weeks. It's always good to have him around and he always has a story to tell. This evening he proved especially useful. He was sitting outside on the patio in a swing that faces the rectory. My bedroom window happens to overlook the patio toward the back of the parish center. As he was sitting outside, I was lying on my couch trying to muster up a bit more energy to finish the morning's homily (I'm not quite finished yet) and the Pastor was out visiting a parishioner. Apparently while I was resting (oblivious to just about everything) and the Pastor visited, his father noticed sparks - flames, really, he says - emanating from the electrical wires that connect to the rectory just outside my bedroom window. About an hour after the fire was first noticed (it apparently had two spurts and then stopped), I emerged from my suite to get a drink when the Pastor told me he turned off the air conditioner (which he only turned on this morning, at my urging) because we had a fire outside and he would turn it back on after the electric company arrived. Not quite putting things together, I assumed he meant a small bonfire of sorts and I couldn't understand what such a fire had to do with the air conditioning, or the electric company, for that matter. After a bit more confusion I finally comprehended the situation. I'm glad I live in a brick house. After assesing the damage, the worker said it was not as bad as he thought it was going to be. He also said that if we hadn't called, the house could very well have caught fire. A rather sobering thought, given I thought I smelled smoke outside early this afternoon, but thought it nothing more than a bonfire in the neighborhood (people like to burn leaves around here); now I'm not so sure. At any rate, all is well now. This evening the boys' track team competed at sectionals. I'm happy to say that four of our boys will be going to State! Of the eight teams present, we took fourth place overall. Individually, we took second place in the pole vault, second place in high jump, second place in triple jump and second in the 400-meter dash. I'm especially excited about our pole vaulter. Only three weeks ago he was making just over ten feet. But after getting a longer pole and a bit more work he cleared 12' 9" tonight! In conjunction with the 43rd World Communications Day, the Holy See has launched a new web site: Pope to You. The web site includes a Facebook application, the Vatican YouTube channel, WikiCath and an iPhone application. On this day in the year 1864, Brother Damien de Veuster was ordained to the priesthood of Jesus Christ in the Cathedral of our Lady of Peace in Honolulu, Hawaii. He was then aged twenty-four years. 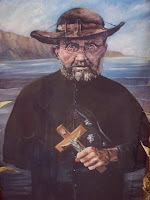 Following his ordination, Father Damien ministered on the Big Island for nine years before going to the Kalaupappa setllement on Molokai for the last sixteen years of his life. Today should be an interesting day and a good one. The sun is already brightly shining and the weather promises to be as beautiful as yesterday, when the blue sky, the bright sun and the gorgeous temperatures (without much humidity) reminded me of Hawaii. After Mass this moring the parish staff had a meeting. They are never the most exciting moment of the day, but a necessary gathering, I suppose, to communicate schedules. In a few minutes I will return to the office to look at the summer Mass schedule and try to see that all is in order. Later this morning I will meet with a young man who is asking many excellent and deep questions and who is searching for the Lord. Please pray the Holy Spirit to guide my thoughts and words with him. One of our high school students is having a cookout at his house today and he's invited a number of his classmates, a couple of teachers and your humble scribe. I'm told he'll be serving hamburgers and hotdogs and - most importantly - blackberry cobbler. I'll almost never pass up a cobbler, especially if it is made with berries. Raspberries are my favorite. Does any make a cobbler with raspberries? I'm not sure if I've heard of one. Raspberry gelato is the best! How's that for a little ramble? For some weeks now the Chancellor of the Diocese has been planning to meet this evening with some of the lay leaders of the two parishes of which I will be Pastor to talk about forming a "pastoral unit." As I understand it, this means two parishes that remain individual parishes but who share a Pastor. The lay leaders will be asked to look and see how the two parishes might work together to assist the ministry of the Pastor. I will attend this meeting together with their Parochial Administrator. The Chancellor is most excited about the meeting because she loves seeing the moment when parishioners meet their new pastor for the first time. This afternoon I will have to come up with a few words of greeting. Please keep this meeting in your prayers, as well. Becuase the Holy Father wants me too. solidarity that can contribute to a better world. in new ways across our increasingly technological world! I hope I'm living up to his expectations! It is always heartening to hear of politicians who not only have a good deal of common sense but also a good morality and guts. State Representative David Reis of Illinois - whose district I am in - has recently urged his fellow legislators to remove funding for Planned Parenthood from the State budget. In the past five years, Illinois has given $25 million to the nation's largest provider of abortions. Whatever your views on abortion, the fact remains that the government, while trying to regain a steady financial foothold, should focus on providing financial assistance for basic, vital healthcare needs to those who need it most and that will affect the most citizens, not subsidize a controversial operation that has no problem raising money under its own accord... During these times of financial uncertainly and governmental belt-tightening, I hope you would agree that a more prudent way in which to spend our precious tax dollars would be pay our current healthcare obligations that provide healthcare for all Illinoisans. Well done, Representative Reis! Please, if you are an Illinoisas with a different representative, encourage them to support this endeavor. If you are na Illinoisan in Representative Reis' district, be sure to thank you. One of our parishioners asked about the Mass times for Thursday, presuming the Solemnity of the Ascension would be celebrated Thursday. How I wish that it were so! Alas, the Bishops of the Province of Illinois have transferred the Solemnity of the Ascension from the Thursday to the nearest Sunday. Hence, the Mass and readings of the Seventh Sunday of Easter will be replaced with the Mass and readings for the Ascension. The usual weekend Masses will be celebrated. After anointing an elderly gentlemen this afternoon - for whom I ask your prayers - I went to Decatur to join a few of the members of the track team who were participating in the Decatur Area Best (or something like that) meet. Three of the boys rode home in my car and as we drove through Sullivan we stopped at the local Subway. One of the guys insisted on the drive-thru, causing I to find what may well be the strangest drive-thru in the United States. you would enter the drive-thru on the right of the building (as we see it), drive around the back and exist from the left of the building. Such a set-up allows the driver to both place the order and pay through the driver's window. Not so this Subway. We realized the drive-thru was backward after I drove toward following the usual convention. After turning around, we entered the drive-thru from the left of the building and I placed our order through my window. It wasn't until I began to pull forward that I thought, "Wait a minute. How am I going to pay?" You see, we'd already driven through that way. On the right side of the building a sliding door was cut into the wall from which the cashier exited the building to collect our payment and pass our order through the passenger's window. It was weird, almost surreal. The cashier admitted it was a bit backward. The drive-thru is also open in the winter; I hope they have several parkas in reserve! What organizations do you recommend? ...since I now know about the march of dimes supporting this type of research and have recently been informed about the American Cancer Society also supporting these places, other than Catholic services, what are some good places to donate in regards to cancer that does not support this? Is there a list of organizations that support embryonic stem cell research and planned parenthood that has been put together that we can view? What organizations do you recommend? Do you know of such a list? In just over an hour I will make my way to my future parishes in Virden and Girard to meet with Fr. August Sperl, who has ministered to the people in Virden for the past twenty-six years. Fr. Sperl served as Pastor of Sacred Heart parish in Virden from 1983-1995. Since 1995 he has served as Parochial Administrator of the same parish. He was appointed Parochial Administrator of St. Patrick parish in Girard in 2008. At 89 years of age, Fr. Sperl is the oldest serving priest in the Diocese; I am the youngest serving. Up until a few years ago, Fr. Sperl could still be found riding his motorcycle and skiing. Never having done this before, I'm not quite sure what to expect from this initial visit. I will let Fr. Sperl take the lead. On the same topic, Ascension Press is offering a free e-book by Mark Shea, Answering Angels and Demons. What follows is the homily I preached at our mission parish this weekend in which I told them of my coming assignment. The homily is adapted from the homily I preached last weekend to fit the readings of the day. By now, my brothers and sisters, you will surely have heard the news of my coming transfer. 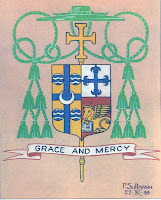 Bishop Lucas asked me to assume the pastorates of Sacred Heart Parish in Virden and of St. Patrick Parish in Girard, beginning September 15th. This appointment comes as quite a shock to me. I am grateful to be able to remain here through the summer and also for your many prayers and encouragements offered these past four years. It will be a sad day when it comes time for me to leave you, but I know the Lord will send many blessings my way and yours. Although I have not had a canonical assignment here in Shumway, I have very much enjoyed celebrating the Sacraments here with you and getting to know you. Shumway will always have a special place in my heart. Today, I want to remind you of what I have told you so often: our only happiness lies in God and in following his will for our lives. This new assignment just south of Springfield is the will of the Lord for me, as given through Bishop Lucas. Difficult as it is, I accept this assignment with humble trust, remembering that when I laid down on the cool marble floor of the Cathedral the day I was ordained I gave my life to Jesus Christ and his Church. As I ask the Lord today to give me – and you – his joy and peace, I place my life again at the service of his Church. I do not fully understand the Lord’s will in this new assignment, but I will listen to his words, “Remain in my love” and do all I can to keep them (John 15:9). In a time such as this, I find myself asking, “How do I want to be remembered here?” Above all else, I want you to remember this: the love of Jesus Christ. If I have not somehow helped you to realize and understand more deeply the love of God, then I have failed in my mission. If such is the case, I offer my sincere apologies and beg your forgiveness. But if my time among you has helped lead you closer to Jesus, let us together give him thanks and praise, for it is he who has used me, his simple and humble laborer, to make his salvation known (cf. Psalm 98:2). Five or ten years from now, if you think of me I hope it will be because you have realized the beauty and the importance of living for others. The way of Jesus Christ – the way which the saints have followed – shows us that it is better - that it is more fulfilling and more human – to care more about others than to care about myself. This is what I want you to remember: that life is best lived when it is lived for God and for others! Live in this way and you will remain in Christ Jesus. Is this not what the Lord tells us today? I am grateful for your many prayers and encouragements and all that you have taught me these past few years. I have no words to express my deep gratitude but these two simple words: thank you. While I am still here among you, I will do my best to remain present among you, but I may need you to remind me not to shut myself away; this is always a danger for an introvert. If you see me pulling back, please, remind me that I am still here. Christ Jesus says to us today, “You are my friends if you do what I command you” (John 15:14). We were made friends of Jesus through the waters of rebirth. In his first encyclical letter, Deus caritas est, Pope Benedict XVI reminds us, “His friend is my friend.” Through Baptism, we have been united with Christ, being incorporated into his body. Consequently, we know that no matter the distance that separates us, we are never far one from another, for Christ has only one body. If each of us remains his friend, we will never be far each other, united as we are in Christ. I ask your continued prayers for me in the coming months. I do not feel ready to be a Pastor, but the Lord is nonetheless calling me to this task. I am very much reminded of his words: “It was not you who chose me, but I who chose you and appointed you to go and bear fruit that will remain” (John 15:16). Pray, dear friends, that I will remain close to Christ, the Good Shepherd, to lead the portion of his flock he is entrusting to me in the love of God and of neighbor. The Lord Jesus tells us clearly, “If you keep my commandments, you will remain in my love” (John 15:10). Lest we not understand what he means, he summarizes his commandment for us in simple terms: “love one another as I love you” (John 15:12). If we look to his Cross, we see the way we are to live out his commandment; we, too, must be willing to lay down our lives for others, to give all that we have, all that we are, to the Lord (cf. John 15:13). Each of us must take up our cross daily and follow him wherever he should lead (cf. Luke 9:23). Paradoxically, the longer we carry the cross that the Lord has entrusted to us, the easier and sweeter it becomes, for his burden is indeed light and in it alone will our joy be complete (cf. Matthew 12:28 and John 15:11). Finally, dear friends, pray that I will be a good, holy and zealous pastor of the flock that will soon be entrusted to me, that my ministry “will bear much fruit” (John 15:5). And know that I will remember you each day in my prayers, as I ask the Lord to bless you abundantly that you will always be built up in faith, hope and love and walk in the fear of the Lord (cf. Acts 9:31). May the joy and peace of the Risen Savior be with us all this day. Amen. Pope Benedict XVI, Deus caritas est, 18. I figured since this was the last Bulldog Bark you would ever be reading, we should dedicate a little part of it to you. On May 8, 2009 at the end of the Parents' Mass you announced you had some devastating news for us. I'm of those people that isn't a fan of surprises, so as you were announcing some information about the festivities that would be taking place at Fast Stop the next day, I was trying to figure out what this devastating piece of information could be. I figured either someone had died, someone was on the verge of dying, or maybe your Apples to Apples game had been stolen. However, nothing could have prepared me for what you were about to announce. As you started off with, "My dear young friends," my heart started to beat faster as I tried to convince myself you weren't going to say what I thought you were going too. As you contined on with, "Four years ago, Bishop Lucas sent me here to proclaim the Good News..." I felt the tears well up in my eyes. "Don't cry," I told myself. "You're going to embarrass yourself," I thought. But as you continued on with your news, I didn't care who saw me cry, because the tears were coming whether I wanted them to or not. As I looked around everyone else seemd to be just as saddened as I was. I really don't want to go into detail about how I and the people around me cried our eyes out, but the purpose of the last couple of statements was to let you know how much you will be missed by not only the parish, but especially the student body. Not only are you our priest, but for many of us you are our best friend. You are always there for us, whether if it's to coach the soccer and wrestling teams, play a game of Apples to Apples, lecture the Spanish classes on their behavior towards the ex-Spanish teacher, travel restless hours with a restless woman all the way to the East Coast, or even just to talk over a can of Dr Pepper. Whatever the situation may be, you have been there fore all of us at least one time or another. satisfactory. And even when you are gone you're only a text message or Facebook post away. But, before we say goodbye for good I stll have a little ounce of hope that the Bishop could change his mind. I and a few others are still plotting our revenge on him for taking you away from us and plan to bombard him with a series of letters. So if we have anything to do with it, we'll be seeing you next year behind the desk in the office working on papers, just like we usually do. However, since I am 98% positive the Bishop isn't going to change his mind, I promise you a group of students to help you pack and an even larger group of students to follow you all the way to wherever you're going. Who knows, it could be our new vacation spot. Winter break anyone? Well, Papa D, no matter where you are don't forget us, and no matter who you meet up there let know you['re] ours, and they can't have you. Because we all know if you had the CHOICE you would stay here forever. We miss you already. Being the last day of classes before final exams are taken Monday, Tuesday and Wednesday, today was an eventful day at the high school. The morning was somewhat quiet as the students finished the last of their classes for the morning. I was in the office with the intent of working on a bit of paperwork but was distracted by many other things. Among them was the student newspaper, The Bulldog Bark. One of the students penned a very touching letter written on the occasion of my coming transfer. (I thought I had the newspaper here in my suite, but I can’t seem to find it. Once I do, I’ll post the letter for you). After filling the candy bowl with sour balls, one of the students realized he was a bit too hyper to return to his study hall so we played a game of chess. I didn’t think he would be a great chess player so I took it a bit easy in the first several moves and was distracted by other students in the middle of the game. He played a good game and, in the end, won. Once the morning classes ended the students had a cookout with hamburgers and hotdogs. As the food was cooked I hung around the grill and took a few pictures to give to the yearbook. During lunch the girl’s volleyball team challenged the boys’ soccer team to a game of volleyball. The boys enthusiastically accepted the challenge and played two very entertaining matches, but only after two of our students played their guitars and sang a few songs for their fellow students. The girls won one of the matches and the boys won the other. The Pastor celebrated Mass for the students and dismissed them for the day an hour earlier than usual. I then joined a few of the boys for a game of frolf (Frisbee golf). I hadn’t been frolfing in quite a few years. In fact, when last I went I’m not sure if there were specialized discs as there are now. Since the day as warm and very humid I went in sandals, which I don’t recommend. Their very comfortable sandals (I bought them in Hawaii) but they aren’t very helpful for climbing hills. Or walking along dirt trails downhill in the wood. At one I slipped and slid down a hill on my bottom. It was a little embarrassing but no real harm was done. The boys said I played well for my first time really playing. They might have just been kind, but I did enjoy the game and I’m thinking about buying a frolf disc, though I think I’ll have to do a bit of research before choosing a disc. In the evening I joined a family for a dinner of delicious lasagna in their home. After the meal I blessed their home and joined for an enjoyable game of dominoes (Spanish train, I think was the name). I’ve just returned a brief appearance at our boys’ baseball game in the city. I arrived just in time to see the end of the game, feel a couple of raindrops and visit briefly with a few parishioners. From the sounds I hear coming through my open windows, a storm has arrived in Effingham. I hope it will hit quickly and well, driving away the humidity. Tomorrow we have a track meet in Shelbyville, about thirty minutes away. It’s been a good day, but now it’s time to find the newspaper and then work on Sunday’s homily. I've just published a podcast of an interview I did yesterday morning with William Bence on WCRA (AM 1090/FM 104.7). William asked what I learned in these past four years here as the Parochial Vicar. To find the podcast, just search for me on iTunes. On this day Mother Church celebrates the life and witness of Saint Mathias, the man chosen to replace Judas the betrayer. Molly, my Pastor's dog, is terribly afraid of storms and there is one on the way to Effingham. In fact, the thunder has already arrived. As I was getting ready for the day, Molly banged a few times on the door to my suite so I let her in. She's staying very close to me. The Pastor will have a very long day trying to comfort his girl. A stormy day with Molly always makes it nearly impossible to get anything done and there is no way to comfort her. As I drove into Quincy today just after Noon, my cell phone rang. It was Bishop Lucas calling to say that my appointment as Pastor of Sacred Heart parish in Virden and of St. Patrick parish in Girard will be effective September 15th. I am very happy to be able to spend the summer here in Effingham. This will give me a bit more time for goodbyes and will make coordinating schedules a lot easier. I'll post more on the new parishes as the day draws nearer. Grandma had already gone into the cath lab by the time I arrived at the hospital, as I expected she would. Though I wasn't able to see her, I did have a good visit with my aunt before returning to Effingham. Now, I'm tired and ready for bed. Good night! Today is going to be a full day, spent mostly on the road. I've just returned to the rectory after celebrating the Mass in honor Saints Nereus and Archileus and, after tidying up my suite a bit, I'll be heading to the high school for a game of dodgeball. Immediately after the game I will hop in my car and drive to Quincy - a drive that takes anywhere from 3 1/2 to 4 hours - to celebrate the Golden Jubilee of Fr. Roy Bauer. He has graciously invited the priests of the Diocese to join him for lunch at The Pier, one of my favorite Quincy restaurants. If I remember correctly, twenty-five priests or more to plan join in the festivities. After the luncheon I will try to visit my grandmother (who is 87), who is in the hospital again. Apparently part of her heart is not getting enough blood. The doctors will perform a heart cath sometime this afternoon. If it can be corrected with a stent, Grandma is fine with that, but she does not want open heart surgery (and I don't blame her one bit). I do not know if I will be able to see her or not; unfortunately, I cannot stay long in Quincy today. Please keep her in your prayers and ask the Lord to arrange a way for me to see her, if only for a couple of minutes. After visiting with her (hopefully), I will return to Effingham. The weather, at present, looks promising for a beautiful drive across the otherwise boring plains of central Illinois. I spent most of the day in the high school office writing letters and attending to other paper work. The office provides enough lively distraction to keep such business from getting tedious. Sometimes I wonder, though, if the students are more of a distraction to me or if I am more of a distraction to them. With the building of our new grade school, the lunch program at the high school (and at the grade school) has ended for the year. The students now either bring their lunch or order from one a few local restaurants who bring in the food. We're also offering hamburgers and hotdogs grilled at the high school. Today I popped outside to help grill pineapple rings to place on hamburgers. Everybody seems to think I'm nuts when I suggest it, but once I finally convince - or demand - that they try it, they like it. After taking me out for pizza Friday afternoon, some of the high school students made me make a promise that will be easy to keep, as I don't expect the circumstances they envision will ever come to pass (at least I pray they don't!). When I become Pope of the Roman Catholic Church I will let R.W., J.J., D.O., D.F., and J.K. [their names I have reduced to initials] live in the Vatican with me and all my homies. D.O. and D.F. were not in the original version of the "document" since they weren't in the room at the time, but were later added to it. To verify it I was made to initial the document. The students are requiring me to keep this paper in my wallet. Aren't they great? Four years ago, Bishop Lucas asked me to return to St. Anthony’s as a priest. He said to me, “You’re young and have lots of energy, and if you want, you can help out at the high school.” As you know, I accepted these “marching orders” and invested myself here among the high school students. These several years later, my time with them and with you has been one of the greatest blessings of my life. I am sure that most of you have by this time heard the announcement I am about to make. I broke it first to the high school students on Friday; so much of my ministry here has been dedicated to them and I wanted them to be the first to know. Some of you know that for the past three years I have served on the Priests Personnel Board, advising the Bishop about the assignments of priests. This Board met Tuesday morning. Tuesday evening, one of the high school students posed this question to me: “At the end of the [school] year, if you could have your choice of going anywhere or staying here, what would you choose?” I told him I would choose to stay here, knowing that only six hours earlier, Bishop Lucas asked me to assume the pastorates of Sacred Heart Parish in Virden and of St. Patrick Parish in Girard. With great reluctance I accepted, remembering my promise of obedience given him on the day he ordained me to the priesthood of Jesus Christ. Today I am able to fulfill the words of the Psalmist, “I will fulfill my vows before those who dear the Lord” (Psalm 22:26). At this moment I do not know when this assignment in Virden and Girard begins. All I can say is that it will likely begin sometime between the first of July and the middle of September. I want to remind you today of what I have told you so often: our only happiness lies in God and in following his will for our lives. This new assignment just south of Springfield is the will of the Lord for me, as given through Bishop Lucas. Difficult as it is, I accept this assignment with humble trust, remembering that when I laid down on the cool marble floor of the Cathedral the day I was ordained I gave my life to Jesus Christ and his Church. As I ask the Lord today to give me – and you – his joy and peace, I place my life again at the service of his Church. I do not fully understand the Lord’s will in this new assignment, but I will listen to his words, “Remain in me, as I remain in you” (John 15:4). If I have not somehow helped you to realize and understand more deeply the love of God, then I have failed in my mission. If such is the case, I offer my sincere apologies and beg your forgiveness. But if my time among you has helped to lead you closer to Jesus, let us together give him thanks and praise, for it is he who has used me, his simple and humble laborer, for his own glory. Five or ten years from now, if you think of me I hope it will be because you have realized the beauty and the importance of living for others. The way of Jesus Christ – the way which the saints have followed – shows us that it is better - that it is more fulfilling and more human – to care more about others than to care about myself. This is what I want you to remember: that life is best lived when it is lived for God and for others! Live in this way and you will remain in Christ Jesus. I am especially grateful to the high school students and I will especially miss my ministry among them. They have received me not only as a Father, as a priest, but also as a brother. They have challenged me and taught me more than they know. Again, my dear young friends, from the bottom of my heart, I thank you. I will be here among you for at least another six weeks; God willing, I may be here for another three months. At the present moment, only the Lord knows this. While I am still in Effingham, I will do my best to remain present among you, but I may need you to remind me not to shut myself away; this is always a danger for an introvert. If you see me pulling back, please, remind me that I am still here. These words of Jesus today offer us a great comfort: “I am the vine, you are the branches” (John 15:5). Through Baptism, we have been united with Christ, being incorporated into his body. Consequently, we know that no matter the distance that separates us, we are never far one from another, for Christ has only one body. If each of us remains attached to the vine, we will never be far each other, united as we are in Christ. Finally, I beg your prayers for me. I do not feel ready to be a pastor, but this is what the Lord is now asking of me and he will strengthen me with his grace to fulfill the duties he is entrusting to me. Please, dear friends, pray that I may always remain attached to the vine of Christ and that I will always remember that apart from him I can do nothing (cf. John 15:5). Pray that I will be a good, holy and zealous pastor of the flock that will soon be entrusted to me, that my ministry “will bear much fruit” (John 15:5). And know that I will remember you each day in my prayers, as I ask the Lord to bless you abundantly that you will always be built up and walk in the fear of the Lord (cf. Acts 9:31). May his joy and peace be with us all this day. Amen. Not a few of the high school students have asked me, since the announcement of my first pastorate, about writing letters to Bishop Lucas. Specifically, if enough of them write to the Bishop, would he change his mind and allow me to stay as the Parochial Vicar of St. Anthony of Padua Parish here in Effingham. I am tremendously humbled by their signs of love and devotion and by their great desire to have me remain here among them; I would dearly love to remain with them. But at the same time, I am troubled by the mentality underlying such a thought. The underlying notion is that if enough people complain loud enough they will be given what they want. It is the underlying notion behind the proverb, “The squeaky wheel gets the grease,” the equivalent of an adult temper tantrum. I will not deny that in certain situations it is only right for a group of people to make their voices known and to demand that wrongs be righted. In the situation of my transfer, however, such a demand seems very much inappropriate. In this situation, as in many others, what is required of faithful disciples is not protest and argumentation, but humble obedience, trusting in the will of the Lord and the guidance of the Holy Spirit. The desire to begin a sort of letter-writing campaign seeks to undo the will of the Bishop and would be a violation of the virtue of obedience that all of the faithful, both ordained and lay, owe to the Bishop. There is certainly nothing unjust in His Excellency’s decision to appoint me a pastor and, hence, nothing to rightly protest. One of the students last night asked, “What about ‘If it isn’t broken, don’t fix it’?” I reminded him that the Bishop has to consider not only the needs of this parish, but of every parish in his Diocese. In his judgment I am needed more elsewhere than I am needed here. Even if we do not like his decision or understand it, we must accept it in faith and ask the Lord to guide us and sustain us in faith, hope and love. The Lord’s purposes will be revealed; sometimes we simply have to wait patiently for him to make them known. Rather than asking Bishop Lucas to rescind his decision, I have suggested to these students that, if they want to write him, they thank him for allowing me to remain here as long as I have, mentioning what my ministry has meant among them. Bishops only rarely hear from the faithful about what their priests are doing well and how the Lord is using them to touch people’s hearts (priests only rarely seem to hear this, as well). I will be looking for an opportunity this week to discuss this with them, hoping to clarify whatever questions they have and to reassure them in faith. Please keep our young people in your prayers. In order to prepare for my first pastorate, I am working on plans to return to the islands the first week of June for a few days of rest and prayer. Tomorrow I will contact the Cathedral of Our Lady of Peace to inquire into lodging. 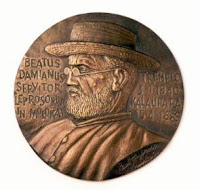 I hope to be able also to return to Molokai to ask Father Damien's prayers for me as I prepare to assume the duties of a pastor. Esther, A Catholic Mom in Hawaii, provides us with a prayer in honor of Father Damien and also has the translation in Hawaiian. 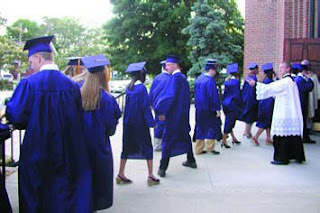 Craig, one of my parishioners and a senior at our high school, has a very moving post about my transfer. Please keep Craig in your prayers as he continues to discern a vocation of the priesthood. For the past three and a half days I had to pretend that nothing had changed when I knew as of 1:45 p.m. Tuesday that everything had, or at least soon would. This was made especially difficult as so many of the high school students kept telling what plans and hopes they had for me in the coming year. All I could say was, “We’ll see.” I wanted to crawl under a desk and hide. Naturally, some of the kids noticed that something was bothering me and so they kept hounding me trying to get me to speak. All I could tell them was that I couldn’t yet say, but on Friday they would know. Some of them put the pieces of the puzzle together and arrived at the right conclusion and were mad at me that I was leaving and that I wouldn’t tell them when. Let it suffice to say that the last several days were not easy. I think, over the course of two nights, I slept for a combined four and a half hours. Last night I finally slept for six hours. Having the 6:30 a.m. Mass this week didn’t help with sleeping. The high school yesterday had a half day of school, which ended with a Mass with their parents. It was at this Mass that I first publicly announced my new assignment. Since I was subbing for a teacher the last three days, I brought my class over to the church early so that I could set up for Mass. As I did so, the students again showed their love and reminded me most clearly of why this move will be hard, even though I know that many blessings will come my way in Virden and Girard. The two senior servers were already at the church and were getting things set up. There wasn’t a great deal to prepare, really. The Paschal Candle had to be lit, the water and wine prepare, along with the hosts, and a few patens had to be set out. All of this would take two people five minutes, tops. As I talked with the two servers, who have become good friends over the years, six of the sophomore boys came into the sacristy asking to help set up. I was deeply touched. They then said they were going to sit in the front few and were going to make the responses well and sing the songs. They simply wanted to help. And they’d already guessed the news. Since they were going to be in the front pew, I sent them back to the high school to grab my camera to take pictures during the Mass. I nearly lost all composure as I placed the stole around my neck and was very clearly reminded of the yoke of Christ and of my obedience to him and to the Bishop. His burden may be light, but sometimes it sure feels heavy. I made the announcement after Communion. It was received as well as could be expected, with much shock and sadness, together with congratulations. I nearly broke down twice, but by the grace of God I was able to keep it together well enough, though my love for the kids was clearly seen and I had to pause a number of times before continuing. When I finished my words, they rose to their feet and applauded for I’m not sure how long. Since the announcement, it has been a humble pleasure to hear how the Lord has used me to touch so many of them. When I returned to the sacristy after greeting people after the Mass, the sophomore boys were waiting for me there to take me to lunch. Four others tried to join us at the restaurant, but the table wasn’t big enough. So I made sure to pop over to their table to thank them. I feel so much better now that I no longer have to keep the assignment secret. The kids understand and are no longer mad at me, though they don’t want to see me go. I already have six or eight of them who have claimed the lead of the caravan to move me to Virden. As I think about this I am deeply grateful and can only smile. Four years ago, Bishop Lucas sent me here to proclaim the Good News “that what God promised our fathers he has brought to fulfillment for us, their children, by raising up Jesus” (Acts 13:32). When he asked me to return to St. Anthony’s as a priest, he said to me, “You’re young and have lots of energy, and if you want, you can help out at the high school.” As you know, I accepted these “marching orders” and invested myself here among you. These several years later, my time with you has been one of the greatest blessings of my life. Some of you know that for the past three years I have served on the Priests Personnel Board, advising the Bishop about the assignments of priests. This Board met Tuesday morning; it was a difficult and heart-wrenching meeting for me. Tuesday evening, one of you posed this question to me: “At the end of the [school] year, if you could have your choice of going anywhere or staying here, what would you choose?” He had no idea how his question stung, how it cut straight to my heart. I told him I would choose to stay here, but only six hours earlier, Bishop Lucas asked me to assume the pastorates of Sacred Heart Parish in Virden and of St. Patrick Parish in Girard. With great reluctance I accepted, remembering my promise of obedience given him on the day he ordained me to the priesthood of Jesus Christ. I wanted you to be the first to know, after the parish staff. It is with a heavy heart that I hear the words of the Psalmist today: “Serve the Lord with fear, and rejoice before him; with trembling rejoice” (Psalm 2:11). These are certainly the sentiments of my heart. I knew this day would come, though I honestly thought and hoped I would have one more year with you. Indeed, it was my heart’s desire to remain here among you. You know that many plans have already been made with you and most of these will – I regret to say – have to change. At the same time, many celebrations will have to be planned in the weeks ahead. Exactly what this means I do not know; we can work this out. At this moment I do not know when my new assignment in Virden and Girard begins. All I can say is that it will likely begin sometime between the first of July and the middle of September. Although I know that the Lord will bring many blessings through this new assignment, I have no desire to leave St. Anthony’s – least of all to leave you. My heart feels as though it has been torn from my chest and pounded several times. And yet, Jesus says to me today, as he says to you, “Do not let your hearts be troubled. You have faith in God; have faith also in me” (John 14:1). With these words, let us recall what I have told you so often these past few years. I have told you that our only happiness lies in God and in following his will for our lives. This new assignment two hours west of here – just south of Springfield – is the will of the Lord for me, as given through Bishop Lucas. Difficult as it is, I accept this assignment with humble trust, remembering that when I laid down on the cool marble floor of the Cathedral the day I was ordained I gave my life to Jesus Christ and his Church. As I ask the Lord today to give me – and you – his joy and peace, I place my life again at the service of his Church. Where I’m lost enough to let myself be led. It’s just Your ways and You are just plain hard to get. Jesus is now asking me to let myself be led by him so that I will be better able to lead others to him. I do not fully understand the Lord’s will in this new assignment, but I will listen to his words, “I am the way and the truth and the life” (John 14:6). His way is the way of the Cross, the way of self-abandonment and love. His way requires the giving of one’s own self, of one’s own life, so that others might live. This I have tried to do for you during my time among you, and now, as I prepare to leave you, I am offering this for you as well. In a time such as this, I find myself asking, “How do I want to be remembered here?” We have had many enjoyable moments, my friends, in the classroom, on the soccer field, on the wrestling mat and the track field, in the weight room, in busses and vans and cars, and even at Buffalo Wild Wings. These moments I hope you will remember; I will remember them and cherish them. But this is what I want you to remember above all else: the love of Jesus Christ. If my time among you has been nothing more than a bunch of laughter and goofing around with Dr Pepper, sour balls and Apples to Apples, if I have not somehow helped you to realize and understand more deeply the love of God, then I have failed in my mission. If such is the case, I offer my sincere apologies and beg your forgiveness. But if my time among you has helped to lead you closer to Jesus, let us together give him thanks and praise, for it is he who has used me, his simple and humble laborer, for his own glory. Five or ten years from now, if you think of me I hope it will be because you have realized the beauty and the importance of living for others. The way of Jesus Christ – the way which the saints have followed – shows us that it is better, that is more fulfilling and more human – to care more about other people than to care about myself. I want to leave behind a group of young people who care more about others than they do themselves. This is what I want you to remember: that life is best lived when it is lived for God and for others! Live in this way, my dear young friends, and despite what storms of life may be befall you, your hearts will not long be troubled, for you will rest securely in the embrace of God. I do have one final gift to leave you: church service hours. In the weeks – and, God willing – months ahead, I will count on you to help me pack. And if you want to form a caravan to help me move, I would be deeply honored and happy to make dinner for all who help. I cannot thank you enough for the love and joy you have shared with me these past few years. I have no words to express my deep gratitude but these two simple words: thank you. With all my heart, I thank you. I have very much enjoyed your friendship and I count on your continued friendship in the years to come. Know that if you ever need a laugh, if you ever need to talk, if you have a question that needs an answer or you simply want to try to stump me still, I am only a phone call, a text message, or a Facebook message away. Finally, I must beg your prayers for me. I have no idea what the future holds for me and I look into it now with much trepidation. I do not feel ready to be a pastor, but this is what the Lord is now asking of me and he will strengthen me with his grace to fulfill the duties he is entrusting to me. Pray, my dear young friends, that I will be a good, holy and zealous pastor of the flock that will soon be entrusted to me. And know that I will remember you each day in my prayers, as I ask the Lord to bless you abundantly. May his joy and peace be with us all this day. Amen. Just a note to thank you for your many prayers; please, keep them coming. Last evening, I drove up to Champaign with a friend to collect two paintings I picked up in Hawaii that I had framed in Champaign. I'm very pleased with them and will post pictures of them over the weekend. There was much to think about yesterday - as there is today - and I was very grateful for the company and the very good conversation we had there and back. Whenever the Lord seems to knock our lives apart he also seems to place someone just where we need them. I've been up since 2:00 a.m. working on the annoucement that will be made tomorrow during my homily for Mass with the high school students. I think it is ready. It will not be easy. Please, keep praying. And know that I will post the homily to appear here tomorrow once the Mass is finished. In the charity of your prayers, please keep the mother of two very dear friends who may soon be diagnosed with colon cancer. I received the phone call last night and an appointment with the doctor is set for tomorrow. At the same, please keep me in your prayers, as well. I count on your prayers each day and now I need them more than I have before. Soon I will have to make a most difficult announcement that I neither want to make nor know how to make (nobody is in trouble). At this time, I cannot say more, but by Friday I expect I will be able to. Today, tomorrow and Friday, I will be filling in at the high school for one of our teachers who will be unble to teach her classes through the end of this week. Consequently, blogging will likely be light the next few days. Then again, it may not be. While the students are working on papers and such, it could be a fine blogging opportunity. And I could certainly now use the distratction. Yesterday evening I attended the Spring Concert performed by the band and chorus members of our high school. It was a great time and they performed very well. Our guidance counselor, chemistry and physic teacher and I even made a cameo appearance in the percusion section playing the cow bell, tambourine and sleigh bells in James Polyhar's "Concerto for Faculty and Brass." I had the sleigh bells. Clanging the cymbals together was a blast! The video didn't turn out quite as well as I had hoped, but those little moving lines in the center are the drum sticks. I'm happy to say it's been a quiet Monday and a mostly enjoyable one. The biggest excitement of the day began when I noticed that the battery in my camera needed to be recharged. When I went to grab the charger I found it was lost. Now, I've already lost one charger for this battery and the replacement charger - which almost costs as much as the camera - only arrived a few months ago. I thoroughly searched my suite, library and office without finding the charger. Even after a third search it was nowhere to be found. A quick look through my car also revealed nothing. I remembered charging the batter at our mission parish when I was setting things up for Holy Saturday, so I decided to take a little drive to see if it was there. It wasn't. Not knowing what else to do, I searched through my car one last time and eureka! I found it. It somewhere slipped under the back passenger floor mat. At any rate, the twenty minute round trip drive helped make a decision involving plans for tomorrow. It's strange how these things work together. The Priests' Personnel Board - a.k.a. the War Room - meets again tomorrow, but this time we will meet in Chatham. Later tomorrow afternoon the priests of the Diocese will gather with Bishop Lucas to celebrate the jubilees of the Diocese and Religious priests serving in the Diocese. The meeting I expect to be tedious (but I'm not overly fond of meetings, to begin with), but the gathering of priests is always a good time. It includes time for visiting, Vespers and dinner. Since last evening I've been trying to decided how long to stay in Chatham. It's a little more than a two-hour drive from Effingham and I have the 6:30 a.m. Mass this week, which means I rise at 5:00 a.m. (the sun is mostly up now at that time). My arthritis is also giving me a nearly small, constant pain in my left hip, telling me that rain should be falling here tomorrow night. At any rate, the drive out to Shumway was not exactly pleasant. There is something about riding in a car that seems to aggravate my arthritis, especially when it's already acting up. On the way back from Shumway, I decided to leave Chatham sometime during the social time before Vespers. This will allow me to return to Effingham before the rain begins to fall; driving in the rain also aggravates the arthritis. It will also allow me to stop by a conference track meet tomorrow evening. As I make the drive back and forth I will offer the pain in my hip for the young people of our Diocese - and especially of the parish here - that might come to know the will of God for their lives and embrace it. Last week a book arrived in the mail for which I have long waited: The Heart of Father Damien by Vital Jourdain, SS.CC. It is a lengthy biography of Blessed Father Damien by a member of his order, translated into English in 1955. I have read a few biographies of the Leper Priest and this may well be the finest. Fr. Vital details the life of Father Damien using his own letters and the letters and anecdotes of those who knew him, both family and his friends. The manner of his writing makes it difficult to set the book down. If they love their priest, they will easily love our Lord, since the priest is His minister. These are good words for each of us to ponder today. In his weekly column in the Catholic Times, "Grace and Mercy," the Most Reverend George J. Lucas, Bishop of the Diocese of Springfield in Illinois, has called upon his faithful to pray the Hail Mary daily in preparation for the Year of Prayer for Priestly Vocations he announced at the Chrism Mass. Our prayer "should be that every Catholic family become a seedbed of faith in which a vocation to the priesthood or religious life could begin to develop if God calls a young family member to such a way of life," he said. While acknowleding a shortage of vocations to the priesthood in the Diocese, Bishop Lucas "cannot believe that God will not continue to call men and women to serve our church generously in ordained ministry and religious life." "The ability of those being called to hear God’s invitation depends on parishes and families creating an atmosphere of expectation and hope in God’s plan," he noted. "Their ability to respond must be supported by our open encouragement and by our prayers." Let each of us take up his request and pray a Hail Mary daily for vocations to the priesthood. Last week's Catholic Times carried a story about my friend and classmate, Father. B. Thomas Donovan, Pastor of Ss. Mary and Joseph Parish in Carlinville, IL, who is also a chaplain in the Air National Guard. N.B. : The bracketed text will not likely be preached, in the interest of time and attention spans. [The Lord Jesus rightly calls himself the “Good Shepherd” because he “lays down his life for the sheep” (John 10:11). He is both the Good Shepherd and the “Lamb of God” who takes away the sins of the world by shedding his Blood (John 1:36). We know that a shepherd, a pastor, “is one who feeds; and Christ feeds us daily with his body and blood, in the sacrament of the altar.” On the night he was betrayed he gave his Body and Blood to the disciples as their food, thus showing himself to be both Lamb and Shepherd. Long ago, the Lord said, “I will appoint one shepherd over them to pasture them, my servant David; he shall pasture them and be their shepherd” (Ezekiel 34:23). This David, this messianic King, is Jesus Christ; it is he who feeds and shepherds us. “The Divine Master personally called the Apostles ‘to be with him, and to be sent out to preach and have authority to cast out demons’ (Mark 3:14-15); they, in turn, gathered other disciples around them as faithful collaborators in this mission.” The Master of the Harvest continues to call men to his service, to feed and tend his sheep, to bring his grace and mercy to all people through the sacraments he has entrusted to his Church. On this World Day of Prayer for Vocations, this Good Shepherd Sunday, we are aware that “a worrisome shortage of priests is evident” in our area, but we are also “sustained by the unshakable certitude” that it is the Holy Spirit who continually guides the Church to the fulfillment of the Kingdom. The Lord promised long ago through his prophet Jeremiah: “I will give you shepherds after my own heart, who will feed you with knowledge and understanding” (Jeremiah 3:15). He will indeed give us shepherds after his own heart, but those whom he calls must courageously accept his invitation and, with great trust, abandon themselves to him and to his mission. Through the course of the centuries the Lord has given his Church many such shepherds, holy men who devoted themselves entirely to God and to his people and for these holy priests we must always give thanks. But we also know that there have been in the Church certain “hired men” who had “no concern for the sheep” and abandoned them, leaving them prey to the wolf (John 10:12-14). These men did not fully abandon themselves to God in humble trust and never saw the sheep as their own; they refused to give their lives that the sheep might live. They did not follow the example of the Good Shepherd. This is a constant danger for a priest: to flee when he sees the wolves coming. If we consider a wolf, we see that he “lies in wait for the sheep, and seizes them by the throat to stifle them quickly.”  The wolf seeks to steal the sheep away from the shepherd, to lead them away from the path of salvation, and for this reason the shepherd must always be on guard against the wolf, looking after the good of the sheep. The wolf, of course, symbolizes the devil and his minions, who “prowls around like a roaring lion, seeking someone to devour” (I Peter 5:8). Saint Anthony of Padua tells us: “There are two things [the wolf] fears exceedingly: fire, and a well-trodden road.” The fire is that of love and the well-trodden road is the way of humility, both of which are shown us by the Good Shepherd. The Lord gives us shepherds after his own heart to fan the flame of faith and love given us at Baptism and to lead us on the road to salvation. The lives of the Saints show us many priests who, following the example of the Good Shepherd, gave their lives for their sheep, refusing to back down or flee from the wolves. I think first of Saint Thomas Becket, the Archbishop of Canterbury who was murdered in his Cathedral in 1170. Saint Thomas and King Henry II had been close friends, but when Henry nominated Thomas as the Archbishop of Canterbury, the King’s admiration turned to hatred. The King thought he would be able to use the Archbishop to achieve his own ends at the cost of the Church. Faced with a choice, Thomas chose God’s favor over that of the King and thus came to his death. Though he had not always lived as a saint, Thomas died as one. I think also of Saint Maximilian Kolbe. In July of 1941, a prisoner escaped from the concentration camp at Auschwitz. The Nazis gathered the men of the block and randomly chose ten for execution. One chosen man was the father of two children, who lived with their mother outside the camp. Maximilian removed his shoes and his cap, stepped forward, and, as he offered himself in place of the other man, said to the guard, “I am old and useless. My life isn’t worth much now.” When asked his profession, Maximilian answered, “Catholic priest.” The deputy agreed and the priest was led away. I think, too, of Blessed Damien of Molokai, who will be canonized this October the 11th. When his brother fell ill, Damien, a Belgian, offered to labor in the mission fields of Hawaii in his brother’s place, knowing he would never see his family again. His superiors consented. When the Bishop of Honolulu needed a priest to minister to the lepers in the colony on the island of Molokai, Damien immediately volunteered, and spent the last sixteen years of his life in their service. He embraced the lepers, ate with them, and called himself one of them. He contracted leprosy because of his devoted ministry; in life and in death he belonged to them. Each of these three priests followed the example of the Good Shepherd and worked with him for the salvation of others. How easy it would have been for Thomas to agree to the King’s demands. How easy it would have been for Maximilian to remain silent. How easy it would have been for Damien to stay on the Big Island. How easy it would have been for these three priests to save their own lives, but to do so they would have had to abandon their sheep and to turn their backs on God. Is this not a grander life than that of a stockbroker or a businessman? Is this not a more heroic life than those most young men choose today? It is men such as these three priests – and countless others like them - that the Lord calls today, men who will give themselves to his service and who will not flee from the wolf but who will give their lives for the sheep entrusted to them. Every priest is called to follow this example of the Good Shepherd and to lay down his life for his sheep, in whatever form it should be required of him. If we are to have more priests in the years ahead to ensure the Sacraments are available to us, we need to step up our prayers for vocations. We need families who will encourage their sons to consider whether the Lord might be calling them to the priesthood and, if he is, to encourage their sons to embrace God’s will for their lives. We need young men who are willing to give of themselves so that others might live. Let us, then, beg the Lord to bestow the gift of courage upon those young men whom he is calling to his service, that they hear his call and respond with humble and joyful abandonment to him. Let each of us encourage those we think the Lord might be calling that we might have more shepherds after his heart. Pray for me, as well, and for Msgr. Enlow and Fr. Schmidt. Pray that each of us abandon ourselves more and more to God for your good and that we never flee from the wolves. 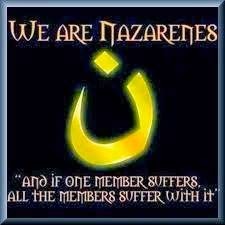 Pray that we never abandon you, and that you never abandon us. Pray that we never give in to outside pressure; pray that we never remain silent when the truth must be spoken; pray that we never place our own safety above yours. Above all, my friends, pray that we be holy, good and zealous shepherds after the heart of Christ that we might lead you ever closer to Jesus Christ through our ministry, which he has entrusted to us. May the Good Shepherd keep his priests close to his heart, and form our hearts after his own. Amen. Saint Anthony of Padua, Sermon for the Second Sunday after Easter, 3. In Sermons for Sundays and Festivals, Vol. I: General Prologue, Sundays from Septuagesima to Pentecost, Paul Spilsbury, trans. (Padua, Italy: Messagero di Sant’Antonio, 2007), 274. Pope Benedict XVI, Message for the 46th World Day of Prayer for Vocations. Saint Anthony of Padua, Sermon for the Second Sunday after Easter, 11. In Sermons, 292.